The K2 Standard Snowboard is the baseline you need to elevate your riding. A catch-free rocker profile makes edge catches a distant memory, while the soft flex and full woodcore are damp, forgiving and playful. 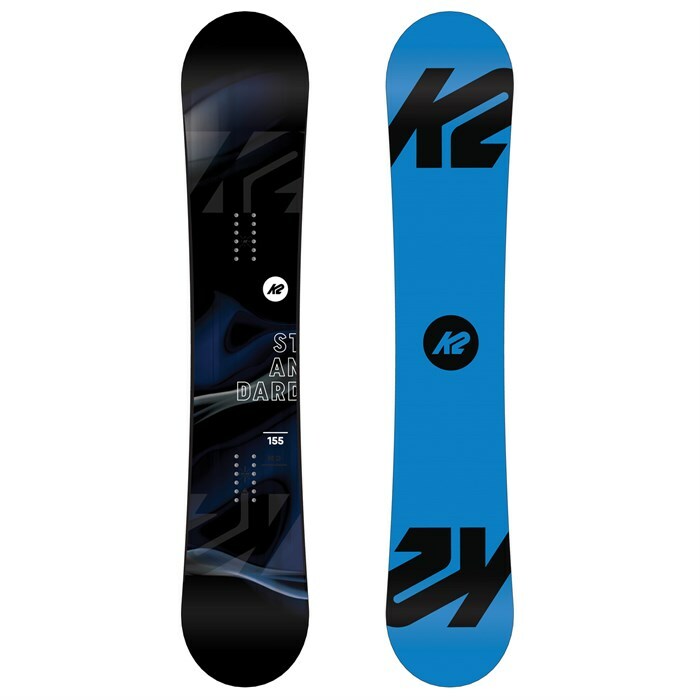 Easy to turn, fast on the groomers and poppy off side hits, the K2 Standard Snowboard is your foundation to a lifetime of ripping. Catch-Free Rocker Baseline™  By bringing the contact points out of the snow, turns happen before the edge bits and - voila! - No catch. This small amount of rocker results in more confidence throughout the learning curve and unlocks faster progression on all terrain. Aspen Core  A single species of wood ensures a proven flex, durability, and snap. Biaxial Glass  Smooth all-purpose performance with a no-frills design. Fibers are woven together at 0°. This makes for a more responsive ride longitudinally and torsionally. Hybritech™  Hybritech™ is the most efficient way to make a snowboard without sacrificing one ounce of performance. Featuring sidewalls along the running surface that flow into the nose and tail, providing low swing-weight while extending the wood core all the way to the tip of the board for optimized turning initiation and durability. 2000 Extruded Base  The easiest base material to maintain and repair in snowboarding.